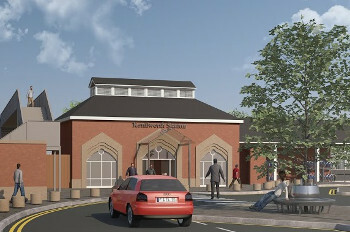 The opening of the much delayed new station at Kenilworth has moved a significant step closer after rail industry regulator the Office of Rail and Road (ORR) fast-tracked the approval process. HM Chief Inspector of Railways Ian Prosser signed the authorisation giving clearance for the £13.6m station to open around a week after receiving the required documents from Warwickshire County Council, which led on the project. Transport Network understands that the process would normally have taken around a month. Monica Fogarty, the council’s joint managing director, said. ‘I am delighted to say that the ORR has passed authorisation for entry into service subject to a number of outstanding items being finalised. A spokesperson for West Midlands Railway said it was ready to run services through the new station when the other parties involved gave the go-ahead. Services from the new station were due to begin last year but the opening has been repeatedly delayed, with various parties, including the county council, the Department for Transport (DfT)and Network Rail being blamed in turn. The station has been built on the site of a previous station that was closed in the 1960s under the Beeching cuts. It has been constructed in a ‘heritage style’, incorporating design elements from the original station. The cost has also risen to nearly £13.6m. The project has been funded by the DfT, Warwickshire CC and Coventry and Warwickshire Local Enterprise Partnership.